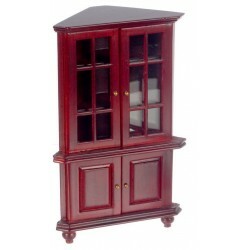 Keep your miniature dining room organized with a stylish and affordable miniature hutch. 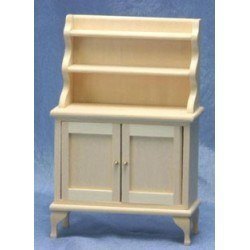 Whether you'd like to store your utensils and table linens or display your fine china and glassware, our variety of miniature dollhouse hutches keep your dollhouse accessories handy and safe. 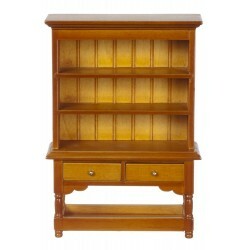 Order a corner hutch to save space or a buffet hutch to provide more surface area and storage. You'll love our quality materials and our reasonable prices. 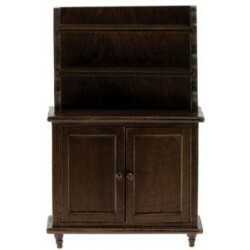 Redecorate and redesign your dollhouse with this Hutch/Walnut/cb. Your decor and collection of miniatures will be taken to another level of fabulosity. 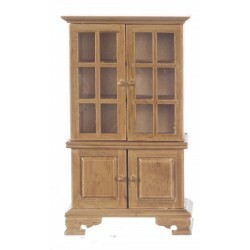 You will love this Oak Hutch No Accessories as it complements your other miniature dollhouse furnishings. Now is the time to design a great new look! Adding this Corner Hutch/Walnut to your miniature collection is just what you need to make your dollhouse a home, and showcase your fabulous taste. 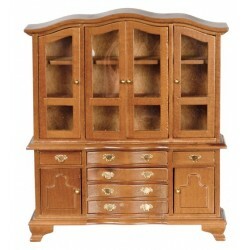 You will love this Hutch/Walnut as it complements your other miniature dollhouse furnishings. Now is the time to design a great new look! Adding this Hutch Walnut to your miniature collection is just what you need to make your dollhouse a home, and showcase your fabulous taste. 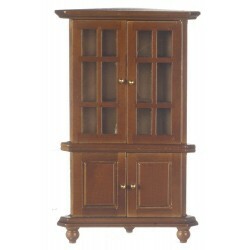 You will love this Corner Hutch/Mahogany as it complements your other miniature dollhouse furnishings. Now is the time to design a great new look! 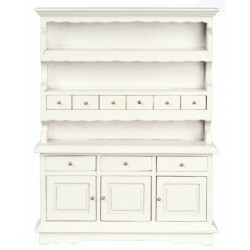 Enhance your dollhouse collection with this HUTCH/WHITE/CB. Added to your other dollhouse miniatures, it is a complement for a variety of styles and tastes. 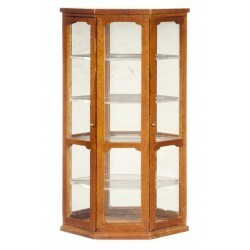 You will love this Curio Cabinet/Walnut/cb as it complements your other miniature dollhouse furnishings. Now is the time to design a great new look! 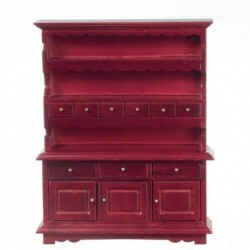 Adding this Hutch w/glass Doors/waln to your miniature collection is just what you need to make your dollhouse a home, and showcase your fabulous taste. 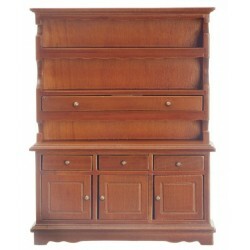 You will love this Hutch/mahogany as it complements your other miniature dollhouse furnishings. Now is the time to design a great new look! Adding this Hutch/Walnut to your miniature collection is just what you need to make your dollhouse a home, and showcase your fabulous taste. 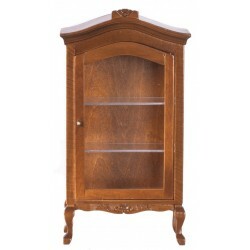 You will love this Walnut Mirrored Curio Cabinet as it complements your other miniature dollhouse furnishings. Now is the time to design a great new look! 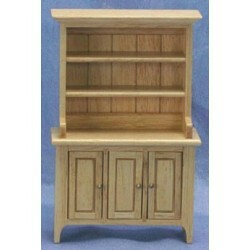 Enhance your dollhouse collection with this Hutch, Unfinished. Added to your other dollhouse miniatures, it is a complement for a variety of styles and tastes. 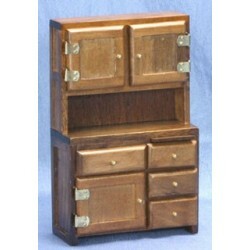 You will love this Walnut Cupboard Hutch as it complements your other miniature dollhouse furnishings. Now is the time to design a great new look! 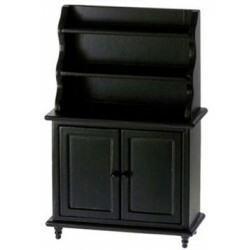 Adding this Hutch Black to your miniature collection is just what you need to make your dollhouse a home, and showcase your fabulous taste. 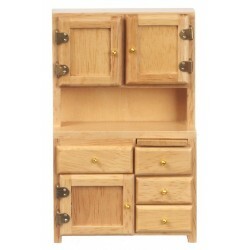 You will love this Kitchen Hutch/oak as it complements your other miniature dollhouse furnishings. Now is the time to design a great new look! 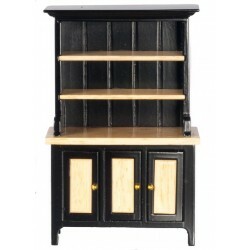 Spruce up your dollhouse with this miniature Hutch/black/oak. We have many miniature Dining Room Hutchs for that finishing touch.